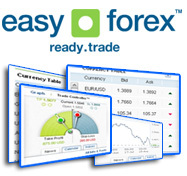 One of the most important aspects of online foreign currency trading is the Setting of exit points. When making foreign currency trades, you need to set two trading orders that will be used as exit points, one for selling your currency when you reach a certain profit, and the other to sell in order to cut your losses down. Limit and Stop trading orders should be set correctly, otherwise the trade will not be executed. After you choose the foreign currency quote you wish to buy, you need to make sure you follow the rules for placing limit and stop trading orders, which are explained in the following table. If you are buying foreign currency, it means you are investing in a long position. In this case, you will set a sell limit above the current currency price, so if the currency rises, you will collect the profit you've accumulated. You will also select sell stops in the long position, so if the currency drops you will cut your losses short. In short position, when you are selling currency, you will set buy limit trading orders below the currency price, so you can take profits if the currency keeps dropping. Buy stop trading orders will prevent you from taking more losses, also for the short position. Sell stops are placed below the price of the current currency, so if the currency drops, they stop you from attaining more losses. The buy limits are also placed below the current currency , and they allow you to take the profits from the drop in currency. If the currency rises the buy stops are placed above the price of the currency to limit losses. In the same way sell limits are done above the currency price to take profits. The previous stop and limit orders are only pat of the way every trader should calculate his profits and losses, and expect to be prosperous.